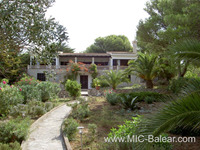 Chalet in Portocolom, Mallorca for property renovation or rebuilding. The plot of 5.300m² allows for twelve units to build. 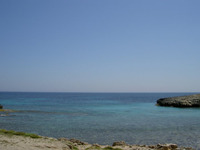 Close to the beach and in the heart of the village situated. This PlotOfLand, First Ocean Line situated, with Ocean View, with a plot of 5600 m².